William Arama, a pastor in the northern town of Kerikeri in New Zealand, read the e-mail with interest. Joy filled William’s heart as he read the letter. It felt good to know that someone was watching his program and that hearts were being touched. Now this couple wanted to come to his church. He was amazed. William wrote back that he was delighted Colin and his wife were enjoying Hope Channel. He explained that Kerikeri, located about 155 miles (250 kilometers) north of New Zealand’s biggest city, Auckland, was a small town of 7,500 residents. He said the Adventist congregation met at 10 a.m. every Sabbath in a chapel in a retirement community. William had arrived in Kerikeri a few years earlier to plant the town’s first Seventh-day Adventist church. Only one Adventist family lived in the town, and William didn’t know anyone. After praying about how to move forward, he decided to open a gym. He did meet many people through the gym — and he also began to contribute to Hope Channel New Zealand, the local affiliate of the Adventist Church’s international channel. Hope Channel began broadcasting free-to-air to every household in New Zealand with funds from a Thirteenth Sabbath Offering in 2016. 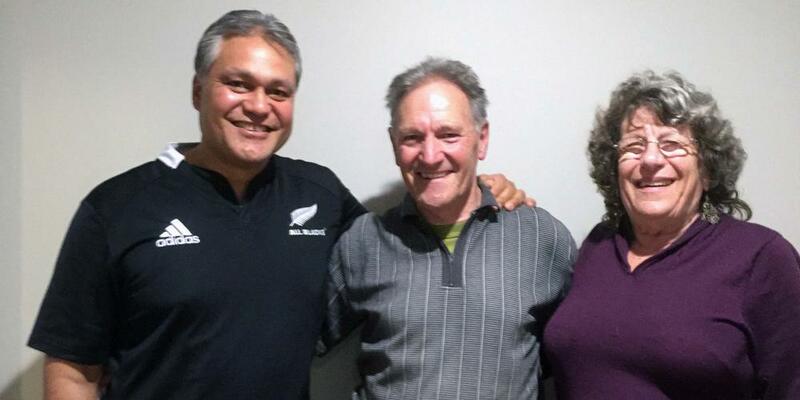 This particular program had an impact on Colin and his wife, Robyn, who were preparing to move from Kaitaia, a town about 60 miles (100 northwest of Kerikeri. The couple attended a church belonging to another Christian denomination in that town. The Sabbath arrived when Colin and Robyn showed up in William’s church for the first time. The church’s 12 members welcomed them warmly, and they enjoyed the sermon and lunch afterward. Colin and Robyn soon asked for Bible studies, and they are preparing for baptism. William firmly believes that Hope Channel is opening many doors in New Zealand, where the Adventist Church has struggled to make inroads in a highly secularized society. Thank you for your Thirteenth Sabbath Offering in second quarter 2016 that helped Hope Channel go free-to-air to every home in New Zealand. Thank you for your regular Sabbath School mission offerings that spread the news of Jesus’ soon coming around the world. Thanking God for the Toilet Alazar Angaw Getahun is 7 and because he can go to the bathroom, he praises God. Ellen White’s ‘The Great Hope’ Unscathed in Nigerian Fire Shocked owner reads the book and runs to an Adventist church to tell his story.